In Summer 2015, Mr. Shimizu founded Hayabusa Energy USA LLC with vision to acquire oil & gas assets in US not typically available to international investors. 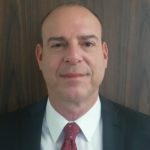 Since January 2017, he is operating producing assets in north Texas and actively looking for new acquisition while traveling back and forth between Texas and Japan. From early 2006 to late 2013 Mr. Shimizu represented Mitsubishi Petroleum Development Company as residing country manager in Gabonese Republic in West Africa, supervising 5 assets in various stages from lease negotiation, seismic acquisition, exploration drilling, production and P&A, both as an operator and a partner. During his 8 years in Gabon, he directly handled all contracts & legal matters, procurement, imports/exports, budgeting, and government negotiations. Before Mitsubishi, he was with JODCO, Japan Oil Development Company (now part of INPEX), where he played a seminal role in the economic valuation and asset management of giant Zakum, Umm Shaif and Umm Al-Dalkh fields, offshore Abu Dhabi. Bachelor of Law, Keio University, Tokyo. Born in 1973 in Kamakura, Japan, married with no children. Dr. Goodman began his professional career with Shell in New Orleans as Exploration Geologist (1980-85). After earning his doctorate at the University of California-Santa Barbara, in Geological Sciences in 1989, he joined Exxon’s upstream research arm where he worked on regional studies, Geoscience research and Planning. After the merger with Mobil in 1999, he began a series of management assignments, including Exploration Technology, Gulf of Mexico Exploration, Middle East Production and Angola Operations Technical Manager roles. After retiring from Exxon Mobil in early 2014, he joined VAALCO Energy as VP Business Development and New Ventures, negotiating and closing A&D deals in Africa and US Lower 48. He resides in Sugar Land, Texas and has 2 grown children. 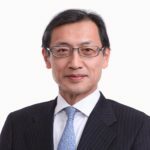 Executive vice president, JX Nippon Oil and Energy from 2012 to 2015, and retired from the company in June 2016. 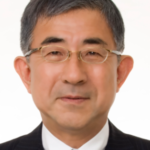 Mr. Ikeda joined Mitsubishi Oil Co., Ltd. in 1974, and served in various roles, such as imported products trading and upstream investment. After the company’s merger with Nippon Oil, he became involved in corporate planning, and strategy. In 2005 Mr. Ikeda became executive officer & general manager, and in 2010 director and senior vice president. Graduated from the Faculty of Economics, Department of Economics, in Sophia University. Senior Advisor, Lincoln International Inc. Director of the Board, TX Entrepreneur Partners. 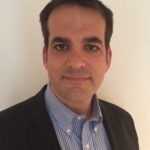 Over 35 years of experience in global finance and capital through Long-Term Credit Bank of Japan (LTCB), GE Capital Japan, Lone Star Fund of Texas. MBA, University of Chicago. Bachelor of Hitotsubashi University. 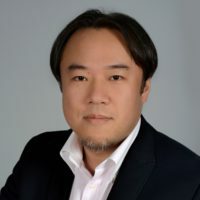 Representative Director, Centrus Energy Japan LLC. Former US Department of Energy, Director in Japan office 2011-2016. 16 years of experience in implementation of energy and national security programs and policies. Mr. Miller has been playing seminal role in US-Japan energy cooperation in various sectors, including oil and gas. Juris Doctor, University of Maryland School of Law. Bachelor of Arts, Muhlenberg College.